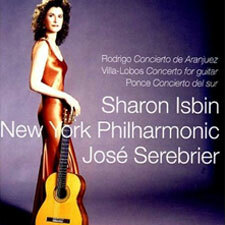 This concert is presented with a great, enhanced 1.78:1 image, with excellent color, saturation and contrast. 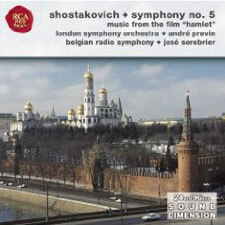 The Cathedral space is exceedingly narrow, leading to cramped quarters for the players plus the film crew, so you will spot various cameramen at times setting up their next shot. 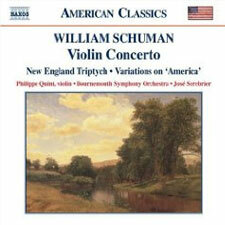 Also, again I assume due to the cramped quarters, the variety of angles is somewhat limited throughout the concert. 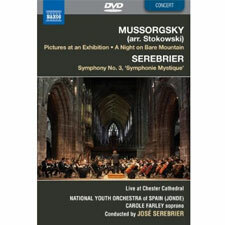 What a sweet and bracing breath of fresh air it is to see conductor/composer José Serebrier taking such obvious delight in the brilliant playing of his National Youth Orchestra of Spain on this concert DVD filmed at Chester Cathedral in Britain. 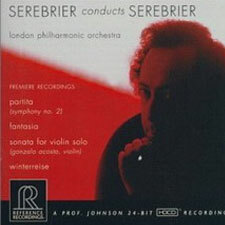 Serebrier doesn't just communicate that delight in his frequent smiles and gestures to these young soon-to-be professionals--he actually takes several opportunities to have whole sections and individual soloists stand for some audience recognition, something that rarely if ever happens in the more staid confines of big city philharmonic halls. 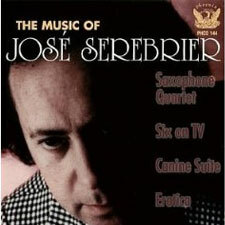 The fact is, though, that these young people are more than deserving of the accolades Serebrier invites for them. 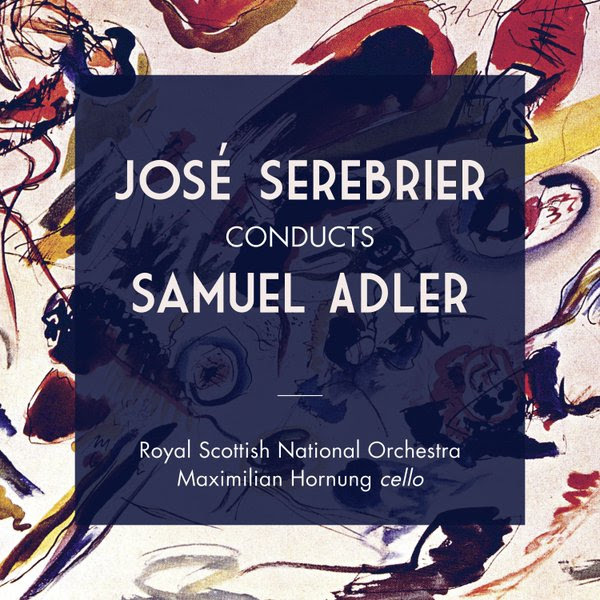 In a performance spanning a couple of warhorses, one demanding new piece and a suitably flashy encore, Serebrier and his charges rise to the occasion with some beautifully textured and nuanced playing that proves that these "youth" are indeed ready for prime time. 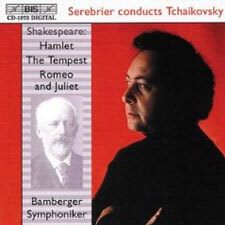 Serebrier starts the program off with Wagner's "Prelude to Die Meistersinger." 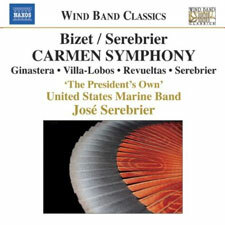 The brilliant brass playing with perfect intonation made this an obvious crowd-pleaser with which to get the show on the road.The next piece was decidedly less mainstream, Serebrier's own Symphony No. 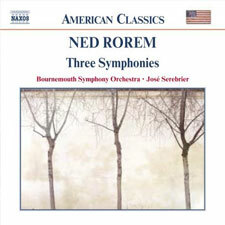 3 for string orchestra. 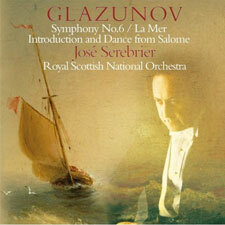 The first movement starts with a bang, with a brisk pummeling motive. 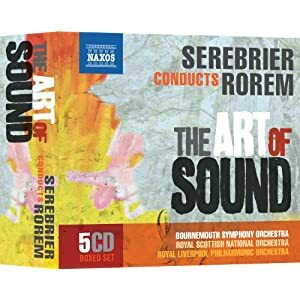 Interestingly, the second movement is given over exclusively to the celli for the first several minutes, something rarely seen (or heard) in the orchestral repertoire. 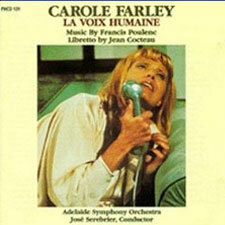 The final two movements which segue into each other are slower, more introspective fare, with the finale featuring some wordless vocals by Carole Farley. 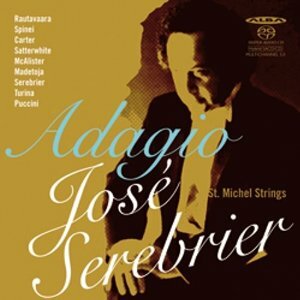 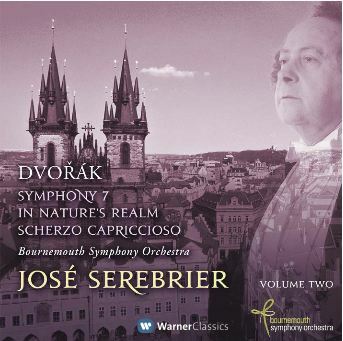 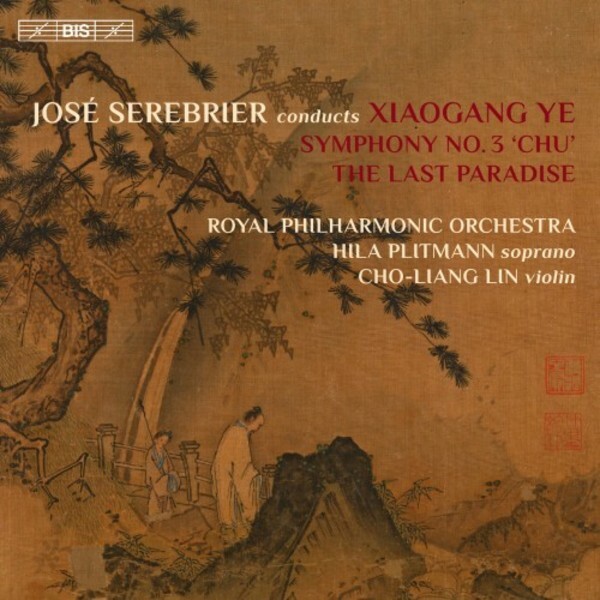 Equal parts lyrical and strident, Serebrier's piece certainly deserves attention from the world's best orchestras (and I couldn't help but wonder if it could be adapted for string quartet, as it reminded me several times of Villa-Lobos' many works in that idiom). 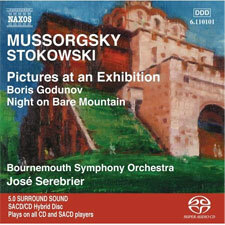 Next up are two magnificent Stokowski transcriptions of famous Mussorgsky compositions, "A Night on Bare (Bald) Mountain" and "Pictures at an Exhibition." 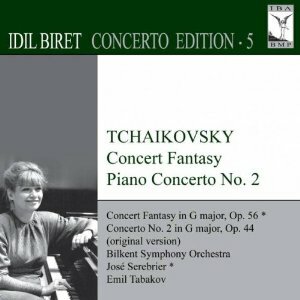 Of course both of these pieces have made it into the popular vernacular, the first through Stokowski himself in Disney's Fantasia, and the second in more pop-oriented recordings by such acts as Emerson, Lake and Palmer and the early synthesizer wizard Tomita. 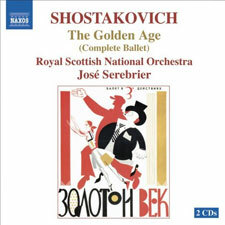 Here, though, we get the full flower of Stokowski's orchestration genius merged with the compositional brilliance of one of the most florid Russian composers, and it is a musical match made in heaven. 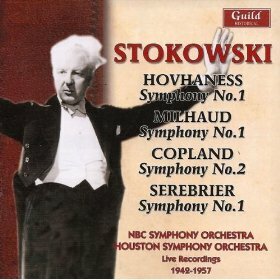 It's interesting to really analyze how many brilliant modern orchestral techniques Stokowski brings to bear on "Bare Mountain" especially, something that routinely escapes a lot of listeners due to its having become such a standard piece of concert hall fare. 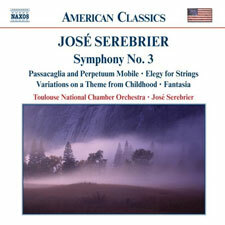 Serebrier leads these young players through the sweeping strings and palpable percussion effects with flash and brilliance. 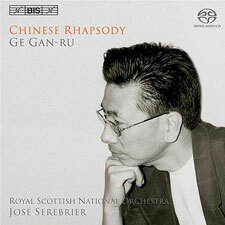 "Pictures," though perhaps a bit on the less showy side, offers some fine solo moments for instruments not usually thrown into the spotlight, including the bassoon. 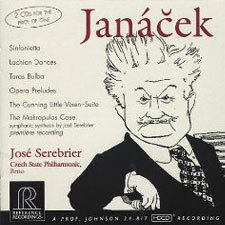 Again, all of Serebrier's players do magnificent, and thrillingly lyrical, work in this piece which contains one of the best-known main themes in all of classical literature. 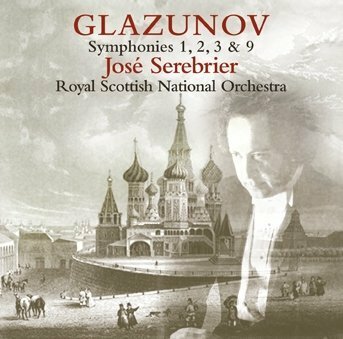 After several minutes of well-deserved applause, Serebrier returns for a great encore, Bizet's sparkling "L'Arlesienne Suite No. 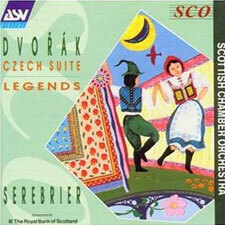 2: Farandole" (is it just me or was Dvorak listening to this before he wrote "Legends"?). 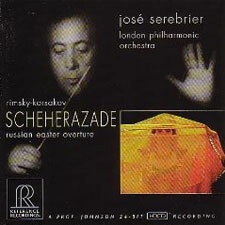 Serebrier brings the house down with a flourish at the punchy finale, once again leading to several minutes of sustained applause. 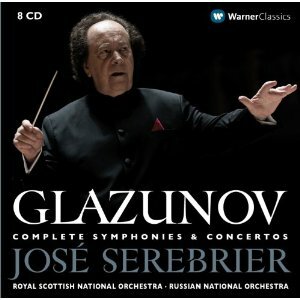 There's been an ongoing debate for years about the future of world-class orchestras, not only in the United States but around the world. 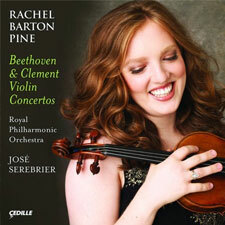 If the efforts of these young people are any indication, we are in fine hands for at least one more generation. 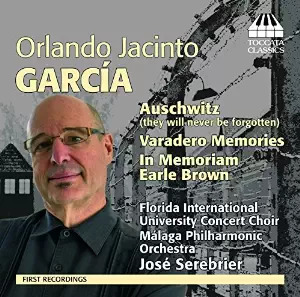 Any parent with children studying music would do well to at least rent this DVD to show it to their kids and let them know, "This could be you in a few years." 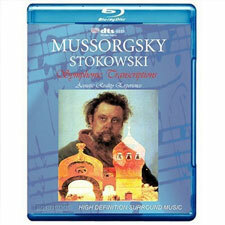 The standard stereo soundtrack does brilliantly on this DVD, but a DD 5.1 would have been a nice option. 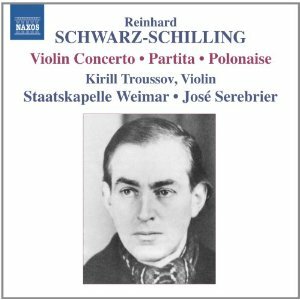 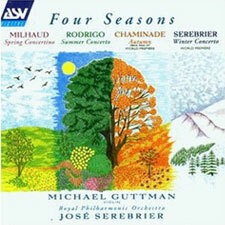 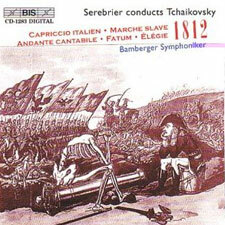 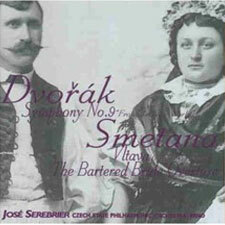 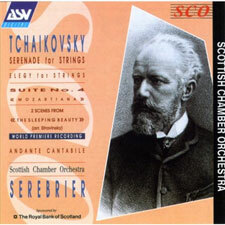 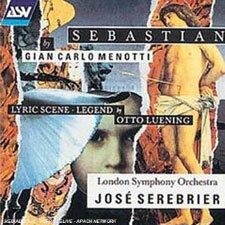 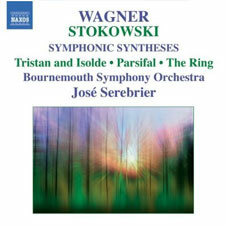 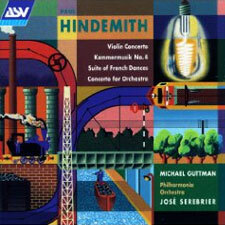 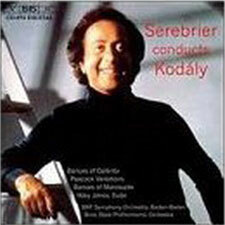 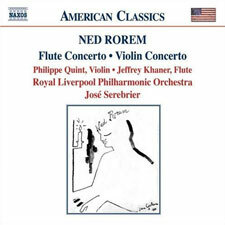 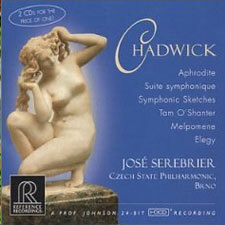 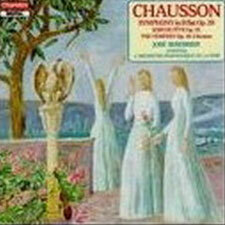 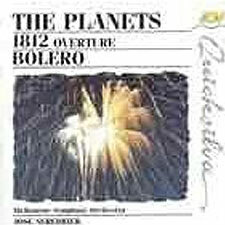 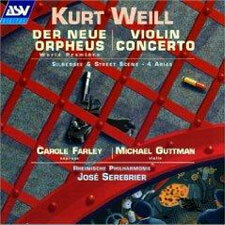 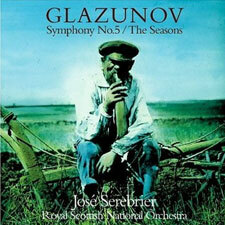 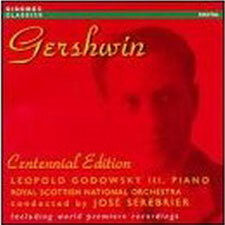 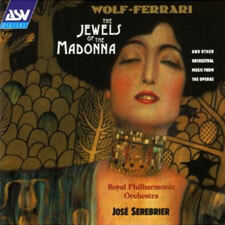 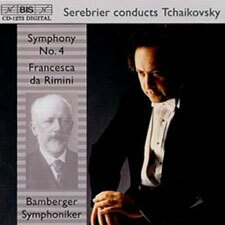 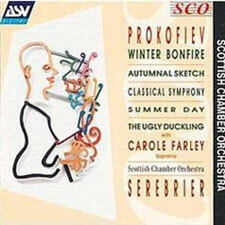 Fidelity and separation are both top-notch, with absolutely no distortion even in full orchestral tutti moments. 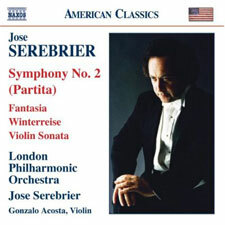 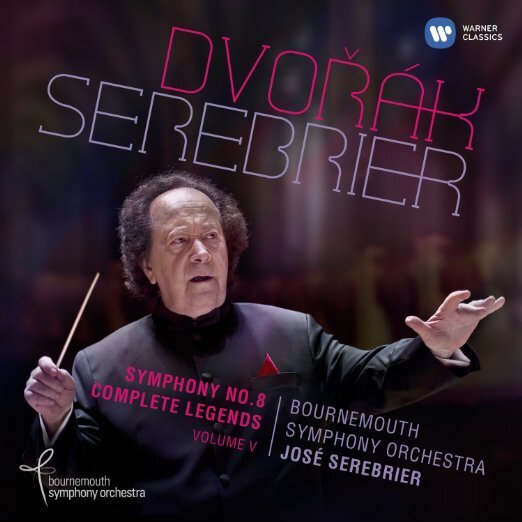 Bravissimo to Maestro Serebrier for guiding a new generation of world-class players through a nicely diverse program of music both well-known and (most likely) new to most audiences. 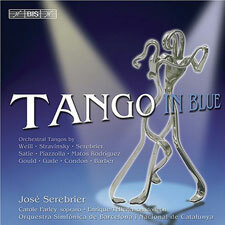 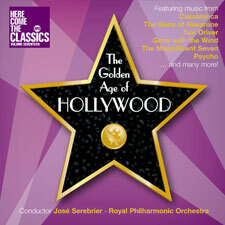 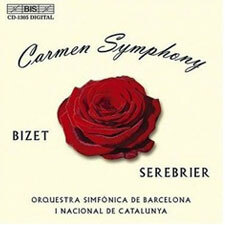 The National Youth Orchestra of Spain should be very proud of this DVD, and any classical music fan should enjoy it. 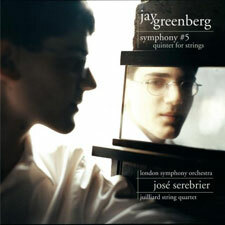 We already know of the incredible accomplishments of youth orchestras and their importance on today's music scene. 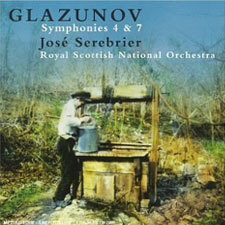 Here is another example, featuring the National Youth Orchestra of Spain (JONDE). 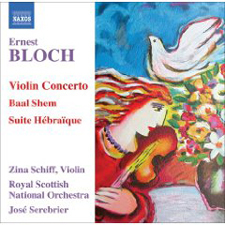 This is not a music education program as is the remarkable program in Venezuela. 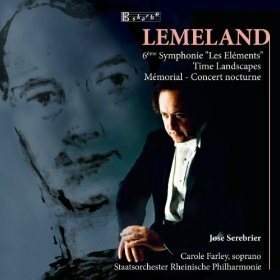 It was formed in 1983 for the purpose of assisting musicians before they begin their professional careers, with meetings several times a year to work with top professionals, followed by concerts and tours. 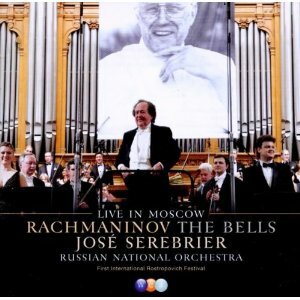 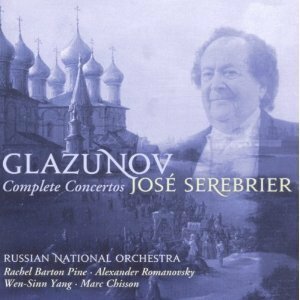 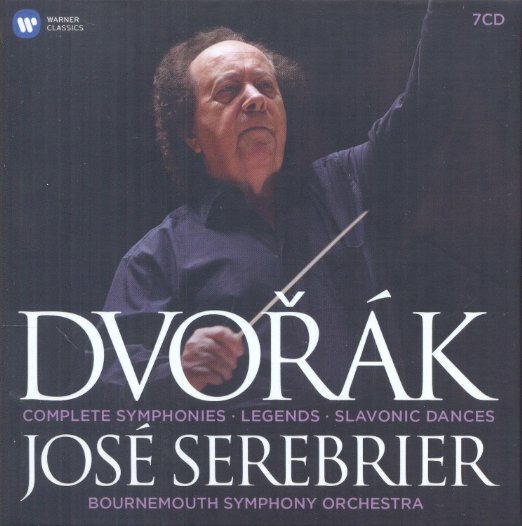 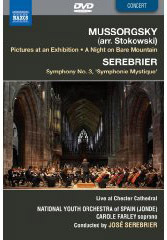 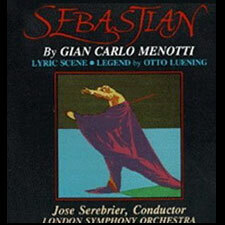 This DVD offers a concert presented August 7, 2007 at Chester Cathedral in England, with José Serebrier conducting (fascinating to watch him—he very much resembles Willem Mengelberg). 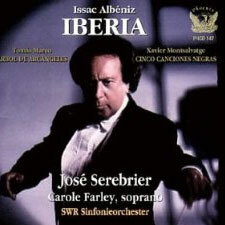 It is a rather unusual concert opening with the Wagner prelude and continuing with the conductor's "Symphonie mystique," a sombre, brooding work in four sections, with the wordless, mystic soprano solo in the last movement sung by Carole Farley stationed in the balcony. 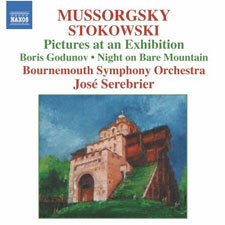 High point of this concert is the vivid performances of two of Leopold Stokowski's spectacular orchestrations of Mussorgsky: Night on Bare Mountain and Pictures at an Exhibition. 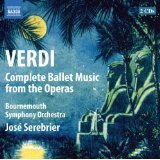 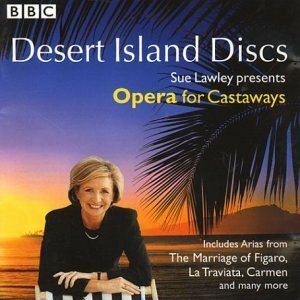 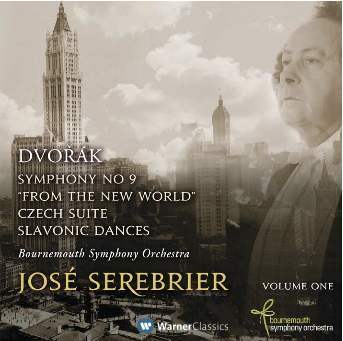 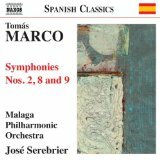 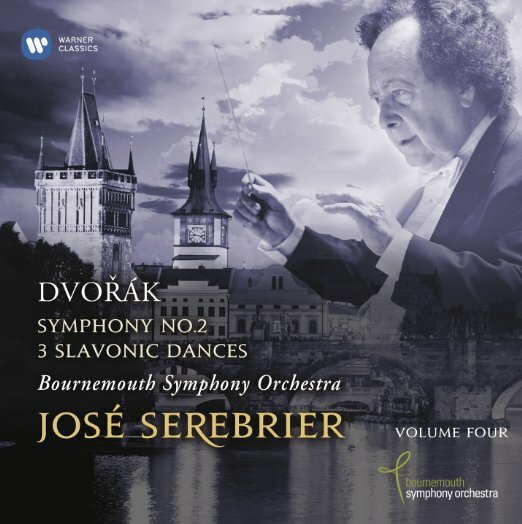 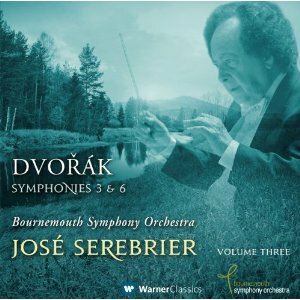 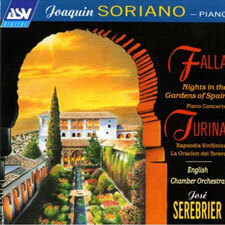 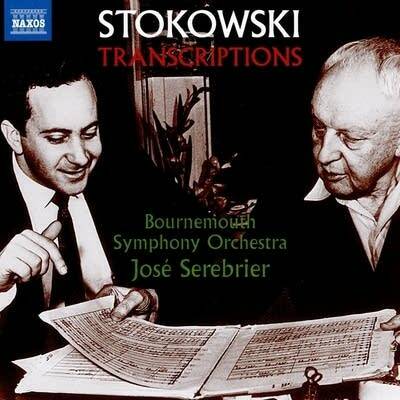 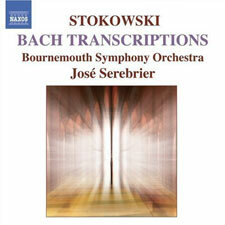 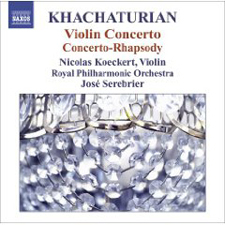 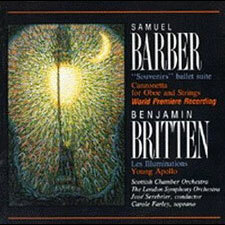 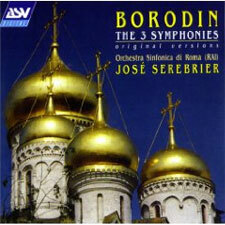 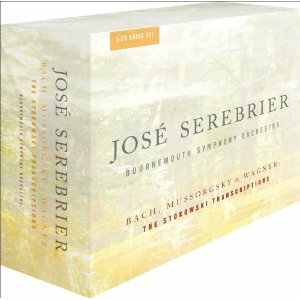 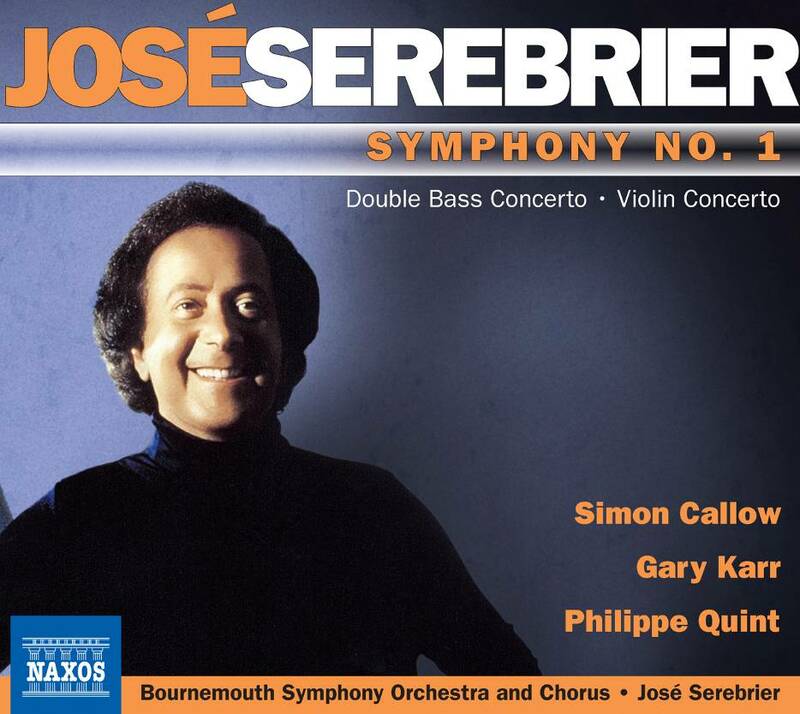 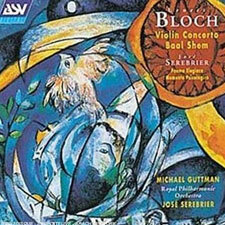 Serebrier already has recorded both of these for a Naxos SACD with the Bournemouth Symphony (see REVIEW), but these live performances have an excitement of their own. 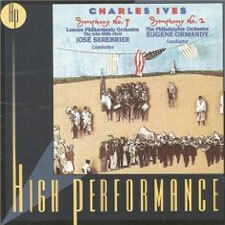 A plus is the terrific sonic quality. 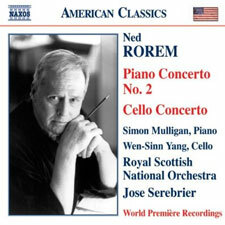 Mark Rogers produced the recording with Mike Cox as recording engineer, and they have tamed the church's resonant acoustics to provide clarity and impact as well as richness. 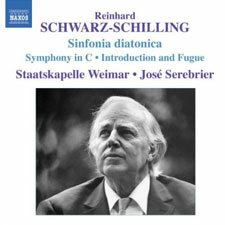 An outstanding release! 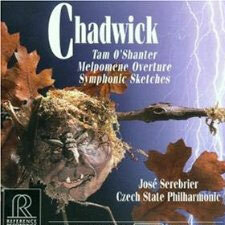 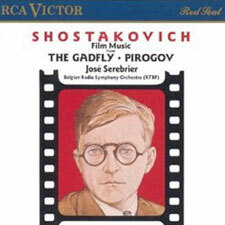 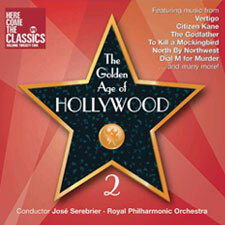 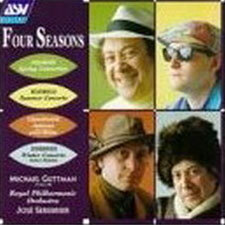 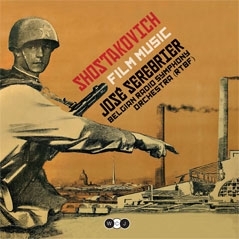 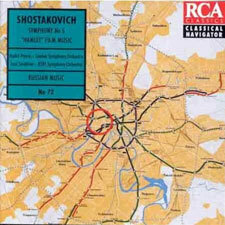 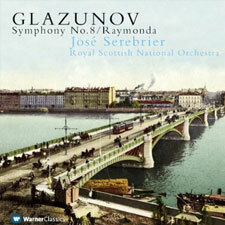 Shostakovich: Music from the film "Hamlet"
Shostakovich: Film Music from "The Gadfly" & "Pirogov"
Serebrier: Symphony No. 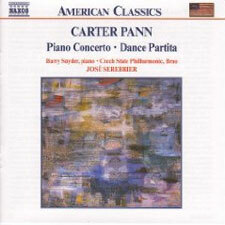 2, "Partita"